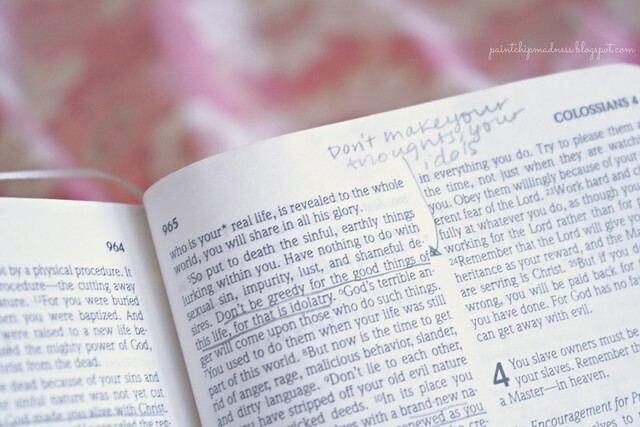 SINGLENESS | STORIES AND IDOLS. Two steps forward. One step back. That's how I'm feeling right now, to tell you the truth. Just last week I was having a good single ladies week. And then bam! This week came and I started feeling lonely, discouraged, and full of questions. Full of sin, really. My storytelling fantasy-land mind had been obsessing over the perfect love story and my impatient self was making my mind wonder why this story wasn't true for me right now. Going into my devotions that night, I knew deep down that my obsessions over my perfect love story were drawing me away from Him but continued thinking about the guy in my story. And not God and His story for me. But thank goodness for Jesus' impeccable timing. Not only did He put a song into my ears but a verse (or two or three) into my mind. Paul writes in a letter to the people of Colosse to "Let heaven fill your thoughts. Do not think about things down here on earth" (Colossians 3:2). The Bible also says "Don't be greedy for the good things of this life, for that is idolatry" (Colossians 3:5). Yeah. Talk about a verse really hitting home. At that moment, God humbled me and those words sunk into my heart. My thoughts and stories were becoming my idols, my obsessions, my cares. Not only that, but the dreams I make up and see played out on television and movie screens are stories. Many of which are purely fictional. They aren't true. Not like God's story and plans for me. And by obsessing over my own made up story, I was slowly distancing myself from him, one chapter at a time. "You have clothed yourselves with a brand-new nature that is continually being renewed as you learn more and more about Christ....Christ is all that matters, and He lives in ALL of us" (Colossians 3:10, 11). Oh, and I'll be sharing that song that God placed in my heart and mind tomorrow, too. See you then, sweet friend! And thanks for sticking with me as I share my heart out. Life is a crazy adventure and I'm so glad you're here with me. I'm really glad to be here :) I can COMPLETELY relate to this. Often, I have to check myself. Am I waiting for God's love story because I think it's going to bring ME happiness? Or becaise I think it's going to bring HIM glory? Of course because our God is so good, it WILL bring me happiness, but my reason for following God's way should be all about HIM. To bring HIM glory! And that, is something that I'm working on and have to remind myself of dailyyy. I am so so glad you feel how I do. Sometimes I feel like I'm living my life in circles, going between being super happy about being single and then hitting a low. And then I worry that I come across as a hopeless single gal who writes about all. the. time. And yes!! Time with Him is so refreshing and it always fulfills me, too. 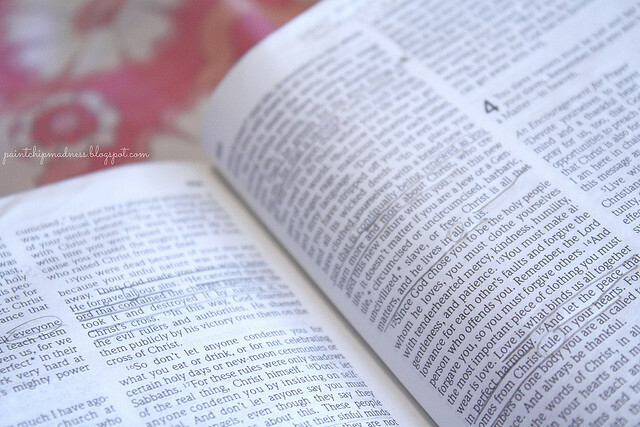 It's amazing how much of a difference time with Him and His word makes on my attitude these days. Oh, and thank you for amen-ing the fact that being imperfect and having struggles is a part of life. It definitely is and these tough times only show how important He is in our lives. I will definitely let you know if I ever head south. I would love to meet you in person! 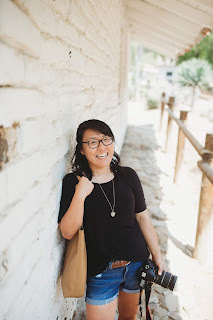 You've been such an encouragement to me and I am SO grateful you're here and that you're blogging. You definitely are a real blogger who I know loves Christ!! Psst...Me again. Can you tell me how you got the favicon to work up in your URL?? If you don't mind taking the time...you can comment back or email chocolatemilkmaid(at)hotmail(dot)com. Thanks, lady! I just read this, and i will be reading it again tonight when it is quiet and the focus i desperately need will be in my grasp. Thanks for sharing this KiKi! Hi! I think I'm one of your newest followers and I haven't commented because on other posts it seems like someone has already said the things that I would-- and it's still the case this time but I just really feel lead to speak! I love that you changed your blog name to "In It's Time" because that is the exact thing that has happened with me finding this post. I've been struggling to put my current position in singleness into words and keep Godly perspective but you did both. To be real and honest, singleness is equally fun and frustrating. But it's those frustrating moments that make me forget the amount of fun that I have with life, friends and more importantly, the lover of my soul. I find myself daydreaming about what could be and I lose focus on what actually is; getting so caught up in the fantasy land of what-ifs. Lately, I've found myself here more than I'd like to admit. Mostly because I just had another birthday and have been in and to a lot of weddings over the summer. But the bottom line is this, I find myself setting up an idol of marriage and of the idea of my future husband. At times I feel stuck because like you said, 2 steps forward-- but sometimes I'm taking 4 steps back and needing to repent constantly to maintain a connection with my heavenly Father. Colossians 3, Romans 12:2, Ephesians 4:23-24 have all helped I just have to stay focused on Christ!! Secondly, thank you so much for commenting! I love meeting my readers and getting to know them better and I would love hearing from you even if its a "I so agree" kind of comment! Anyway, YES and AMEN to everything you said! In Its Time really and truly speaks to me in every life stage I've been in and am in, especially singleness (which has its own seasons in and of itself!). But I digress. Singleness does has its ups and downs. There are days when I love every minute of it but there are also days when I get frustrated by it. A few days ago I started reading Leslie Ludy's Sacred Singleness and have really loved how it has helped me not only find contentment in but true love with my current stage. That doesn't mean I don't have bad days (because I do! ), but since starting it, I realized just how much He fulfills me. Have you read that book or any other good books/blogs on singleness? I love finding new reads! And yes--I so understand the whole wedding season and birthdays thing. I feel you! It can be so easy to compare my life stories with others as well as getting caught up in the what if's in life. There are a lot of those, right? Thank YOU girl for the encouragement! It is such a breath of fresh air to read comments like these. OMG Thank you for letting me know! I honestly had no idea but I followed the link and set up a blogger profile. I actually started reading Sacred Singleness not too long ago. I really like Leslie Ludy so I also have the audio book for Authentic Beauty and listen to it on my way to work in the mornings. I'm a serial book reader so at any given time I have 3-4 books I'm bouncing between. Another good read is Lady in Waiting by Jackie Kendall and Debby Jones. It's really making me examine myself and answer some tough questions like why do I really want to get married. It's a really good book and there is a version with a workbook! Yes girl! We have to encourage each other!